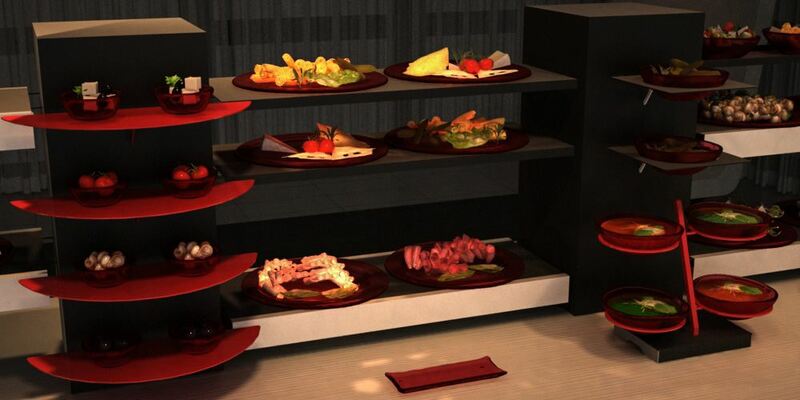 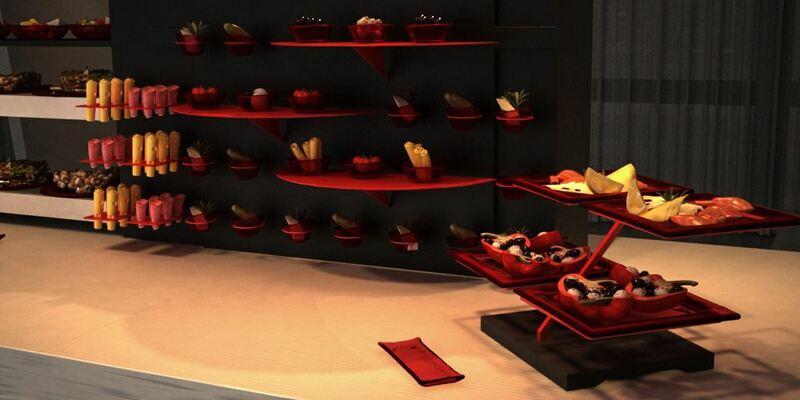 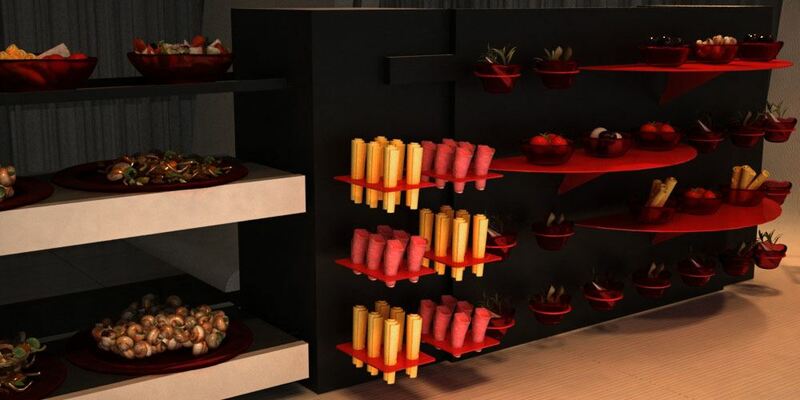 Standard lounge buffet system requires counter length of 5,5m/18f and can serve up to 80 people in three rounds. 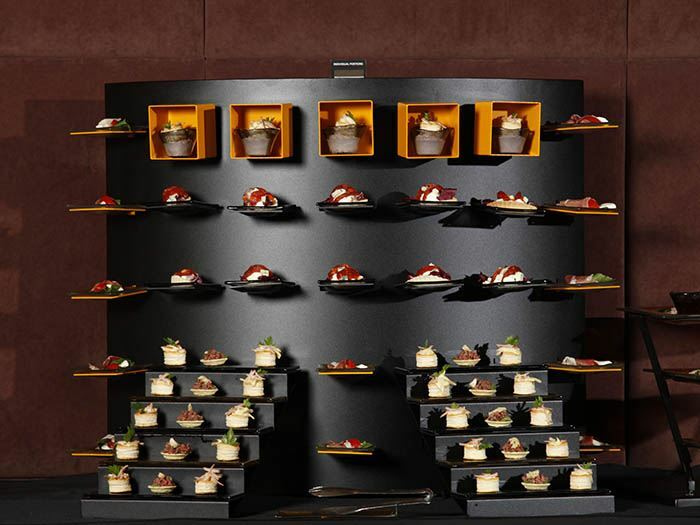 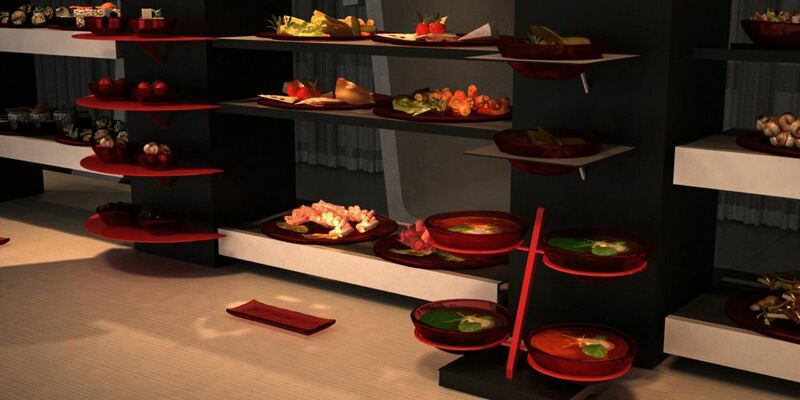 This set up incorporates various buffet risers and a wall mount system for mono portions. You can choose a combination of glass in red color and metal in black color, or glass in ochre color and metal in pearl and brown. 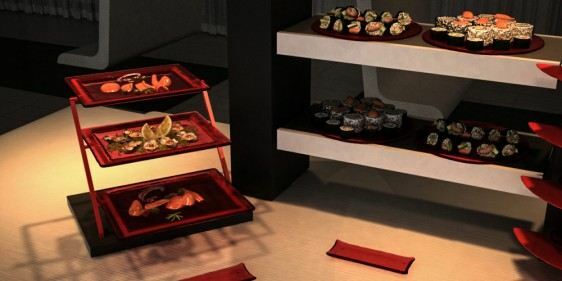 The price includes all metal parts and par 3 glass serveware.